The University of Maine at Presque Isle will present a special evening with award-winning writer Cathie Pelletier on Monday, June 3, at 7 p.m. in the UMPI Library, when it hosts a reading and book signing for her long-anticipated new novel The One-Way Bridge. Pelletier’s tenth novel, published by Sourcebooks, returns readers to the logging town of Mattagash, the scene of several of her novels including The Funeral Makersand The Weight of Winter. The June 3 reading, which will include a reception featuring light refreshments and wine available through a cash bar, is part of The One-Way Bridge national book tour. Pelletier began writing The One-Way Bridge in 1991 while living in Tennessee. The first draft was finished in Eastman, Quebec, after she moved to Canada in 2005. Twelve drafts and 375 deleted pages later, the final version was completed after she moved back to her family’s homestead in Allagash. 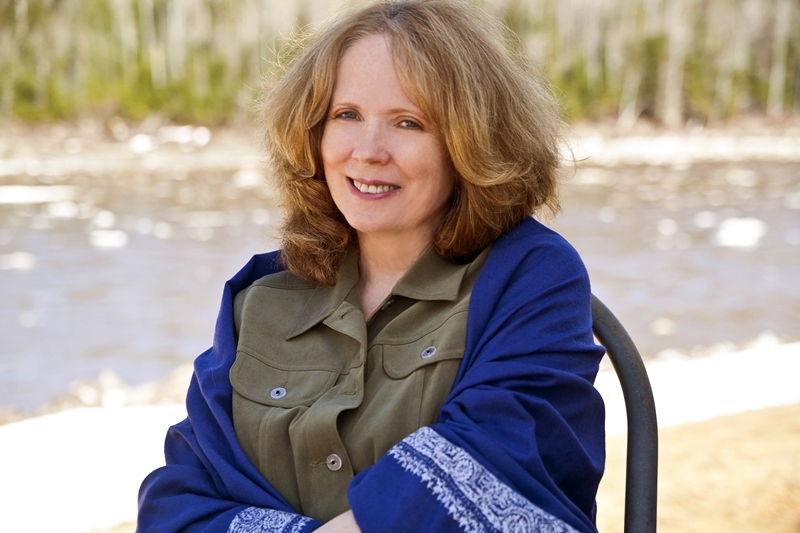 Pelletier is the author of 10 novels, eight of which are under her own name, beginning with The Funeral Makers, published by MacMillan in 1986. Under the pseudonym K. C. McKinnon, she wrote two novels, Dancing at the Harvest Moon and Candles on Bay Street, both published by Doubleday, the latter earning a million-dollar advance. The first McKinnon novel was translated into 19 languages and was a CBS TV film starring Jacqueline Bisset, Valerie Harper, and Eric Mabius. The second was translated into 10 languages and was a Hallmark Hall of Fame film starring Alicia Silverstone. Two of Pelletier’s novels under her own name have received notable mentions from the New York Times Book Review. 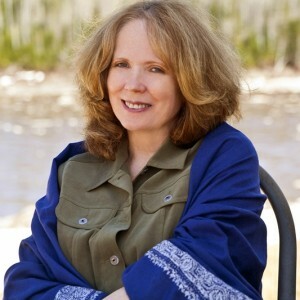 Her third novel, The Weight of Winter, won the New England Booksellers Award, and her ninth, Running the Bulls, won the 2006 Paterson Prize for Fiction. She was also presented with the Bernie Schweid Award from Tennessee Booksellers. She adapted her novel A Marriage Made at Woodstock for producer George Stevens, Jr. and Michael Stevens. She also adaptedThe Funeral Makers for director Doug Liman (Swingers; Bourne Identity; Mr. & Mrs. Smith). Her original screenplay, The Luna Christmas, has been optioned by actor Donald Sutherland. Pelletier created and sold to Simon & Schuster a book with country music icon Tanya Tucker, titled 100 Ways to Beat the Blues. She co-wrote The Christmas Note with her friend, the late Skeeter Davis, singer and Grand Ole Opry legend. She has co-written the forthcoming memoir, The Ragin’ Cajun, with her friend Doug Kershaw, the legendary fiddler-singer. She has sold and helped with the collaboration of Cows: A Rumination, with her long-time friend and collaborator Carl Hileman. She is currently in collaboration on a book with harmonica player Mickey Raphael, who has performed and toured with Willie Nelson for 40 years. She has had songs recorded by David Byrne (of the Talking Heads), the Texas Tornadoes, the Glaser Brothers, and others. She has collaborated on songs with Gene Nelson, whose 18 Wheels & A Dozen Roses, written with brother Paul Nelson and a #1 hit for Kathy Mattea, was voted Song of the Year. As if news of a new novel weren’t enough to delight Pelletier fans, Sourcebooks has announced that it is putting all seven of her previous novels back into new paperback print. The publisher plans to re-launch them in the coming months. Copies of The One-Way Bridge will be on display and for sale during the June 3 event at UMPI, which is free and open to the public. Light refreshments will be served and wine will be available (with proper ID) through a cash bar. For more information about Pelletier and her work, please visit www.cathiepelletier.com. For more information about her reading at UMPI or to RSVP by Wednesday, May 29, please contact Gayla Shaw in the Office of Community and Media Relations at 768-9452 orgshaw@maine.edu.